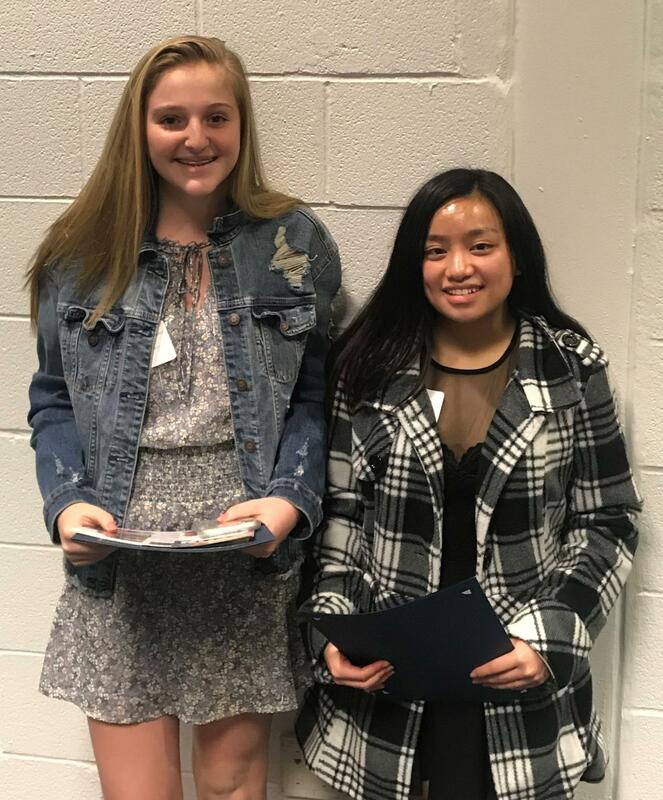 Congratulations to Nicole Galzerano and Jennifer Vo for being recognized Thursday, April 11 at the AAUW (American Association of University Women) recognition night which was held the Community College of Beaver County. These two outstanding young ladies were recognized amongst 29 peers from across Beaver County Schools for their interest in the study of mathematics and science. Great job representing our Central Valley Middle School.